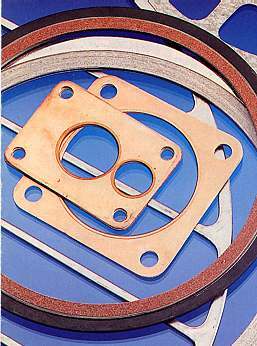 SEALMASTERS can supply all types of gasket, in all materials. 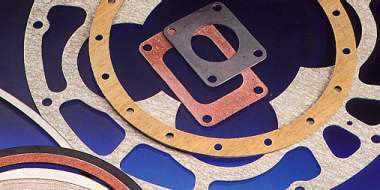 Solid metal washers and gaskets can be supplied in Copper, Aluminium, Brass, Monel Metal, "Armco" Iron and Chrome Steel. Metal Jacketed soft filler gaskets are made from a soft compressible filler partly or wholly enclosed in a metal jacket, and are better able to accomodate flange irregularities than the solid metal varieties. Jackets may be formed from the same materials as solid metal gaskets (above), plus sheet lead and soft iron. Soft jointing gaskets are available in millboard, cork, rubber, vulcanised fibre, non-asbestos jointing and reinforced graphite. We have gasket cutting facilities for a same day service.